The architectural technology diploma program will be available at Red River College in Winnipeg starting fall 2018. 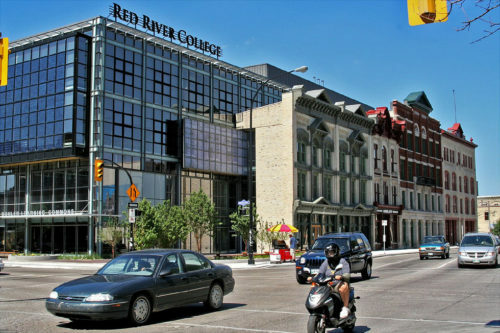 “As industry evolves in Manitoba, it is important Red River College continues to redesign, and create new programs that not only anticipate the changes emerging in industry, but create programming that allows our students to adapt to the change as they enter into a meaningful and rewarding career,” said Paul Vogt, the college’s president. The program also includes a four-month co-operative (co-op) placement between years one and two, giving students practical experience related to their chosen field. “The new architectural technology program will more closely align with the current needs of the AEC industry, providing graduates with the knowledge, skills, and capabilities to join the workforce in a contributing role, while continuing in the life-long learning experience inherent to our world,” said Stephane Chappellaz, chair of the program’s partner advisory council. The skills acquired in the program are in high demand in sectors across the country, but the updates are primarily expected to meet the needs of Manitoba. A recent alumni survey revealed 98 per cent of Red River College graduates choose to build careers in the province, rather than relocate. Registration for the program will be available on the Red River College website February 1st. Ontario’s University of Waterloo has also updated its AEC offerings with the introduction of its Architectural Engineering Bachelor of Applied Science (BASc) degree. Offered by the Department of Civil and Environmental Engineering in collaboration with the Waterloo School of Architecture, the studio-based program combines architectural design with building engineering. For more information on the program, e-mail ArchEng@uwaterloo.ca.